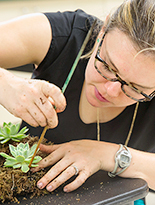 Check out our classes for adults, including gardening, arts and crafts, and cooking. Train to become a certified St. Louis Master Gardener. Or apply for an internship or for our Online Master's Program. Therapeutic Horticulture Programs are geared to populations with special needs. Teachers: the Garden is a great place to grow and learn! Connect with plants, nature and green living! 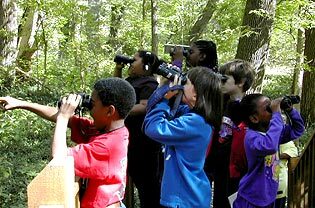 Help your scouts grow at the Missouri Botanical Garden, Shaw Nature Reserve and the Butterfly House! We offer programs for Girl Scouts, Cub Scouts and Boy Scouts including Journey, badge and patch programs, merit badge skill centers, special events, overnights and outreach programs. Learn & Discover With Us! Since its founding over 150 years ago, the Missouri Botanical Garden has been committed to connecting people with plants and the wonders of the natural world. Today, education remains at the heart of everything we do—from hosting nearly one million visitors a year to strengthening science learning and teaching for students and teachers to supporting sustainability and conservation efforts throughout the St. Louis community and around the world. This commitment is deeply rooted in our mission, as evidenced by Goal 4 of the Garden’s Strategic Plan: To deliver exemplary, experience-based education that increases understanding, appreciation and conservation of plants and the natural world, and inspires people of all ages, backgrounds and abilities to think and act in sustainable ways. Reconnect people with nature. Inspire more children, families and people of all ages to spend time outdoors, exploring, appreciating and understanding how the natural world works. Through positive experiences with nature, reinforce the plant-people connection and foster lifelong learning. Increase young people’s interest in science and conservation careers. Inspire and enable students to become successful, caring citizens who value and practice conservation in their professional careers and personal lives. Develop the skills of educators in natural science content and pedagogy to enable them to help fill the pipeline of future thinkers, doers and problem-solvers. Propel the community toward sustainable living. Through training, education and outreach, support community-based efforts to influence attitudes and behaviors that promote healthy, sustainable lifestyles and life choices that contribute to the well-being of plants, people and the planet. 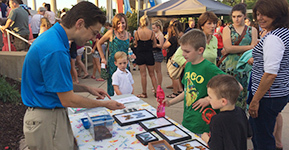 Whether your event is a STEM night, a career fair, a professional development day or a conference, our educators can create and customize an experience for your audience. Check out our Education E-Scoop, a monthly resource featuring outdoor learning tips, science and literacy links and upcoming programs. Subscribe today!